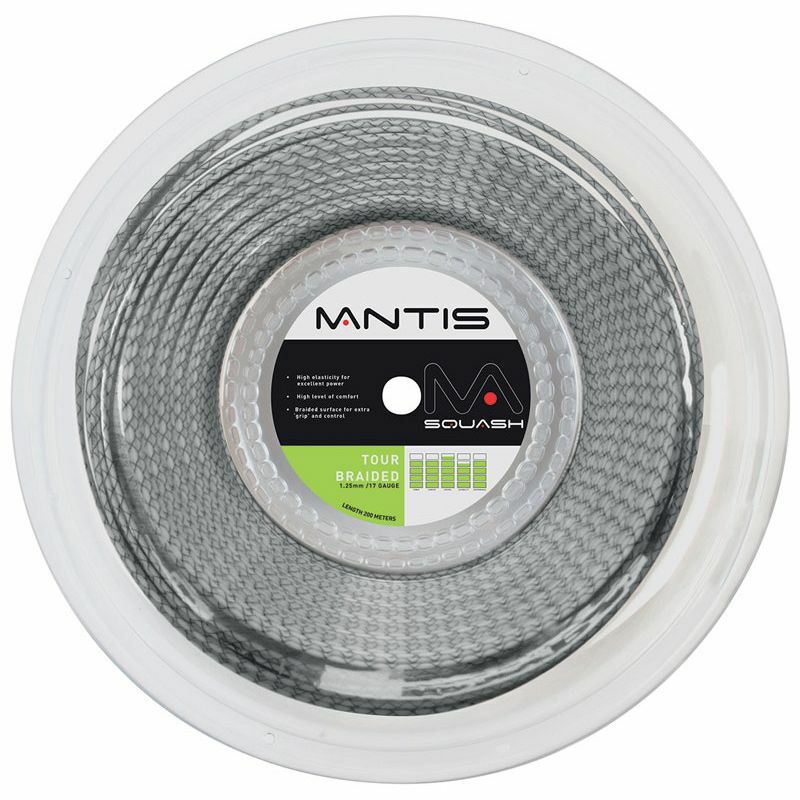 The Mantis Tour Braided squash string is an all-round choice that offers players excellent power and control. This highly-elastic multifilament string has braided construction and a durable central core with a monofilament coating. The string is 200m (656ft) long, has a gauge of 17 (1.25mm), features additional texture on the surface and offers better durability thanks to its outer nano-resin coating. 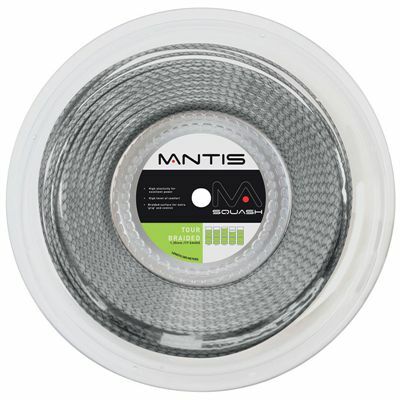 for submitting product review about Mantis Tour Braided Squash String - 200m Reel.